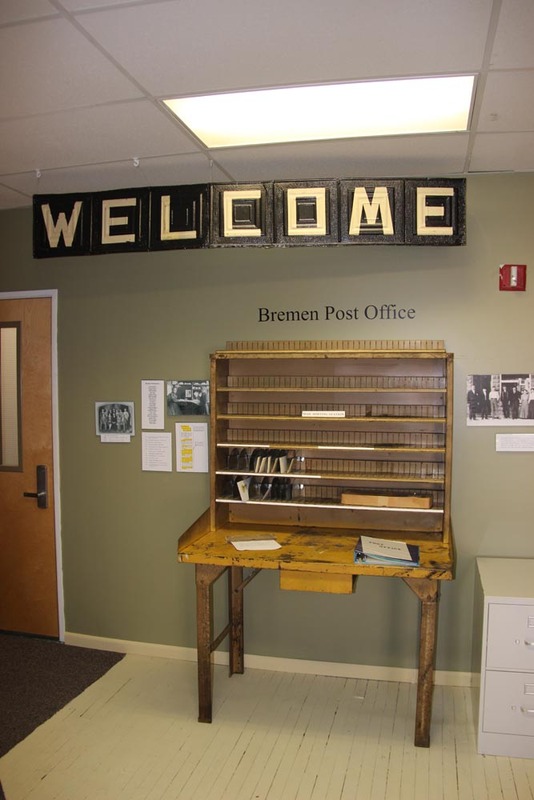 The Bremen History Center in downtown Bremen is full of wonderful exhibits and other features that make coming in a worthwhile experience for anyone interested in the history and stories of Bremen’s past. 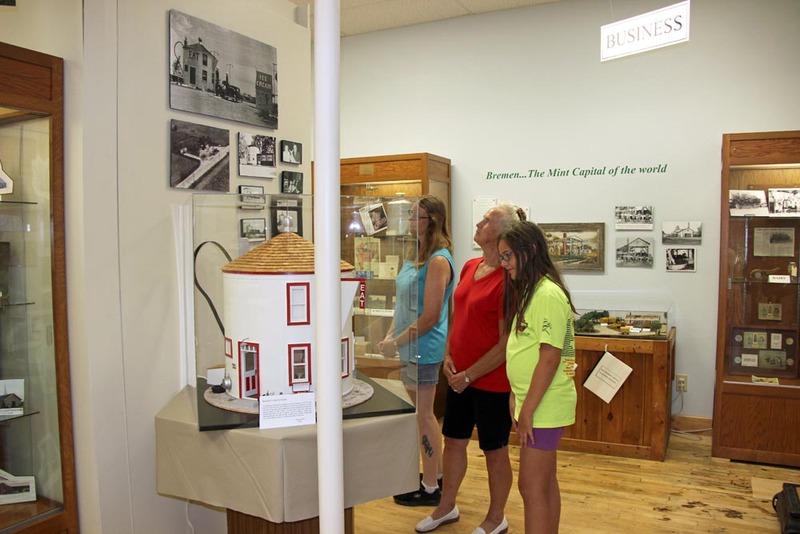 From post office memorabilia to scale models and historical artifacts and photographs, the history center reminds young and old alike of the rich past of our community. And our exhibits are always growing and changing. Throughout the center are displays of historic Bremen artifacts in mock storefront windows and cabinets. There is also a section of souvenirs and inexpensive music and cook books donated to benefit the History Center. Click an image below to view a slideshow. 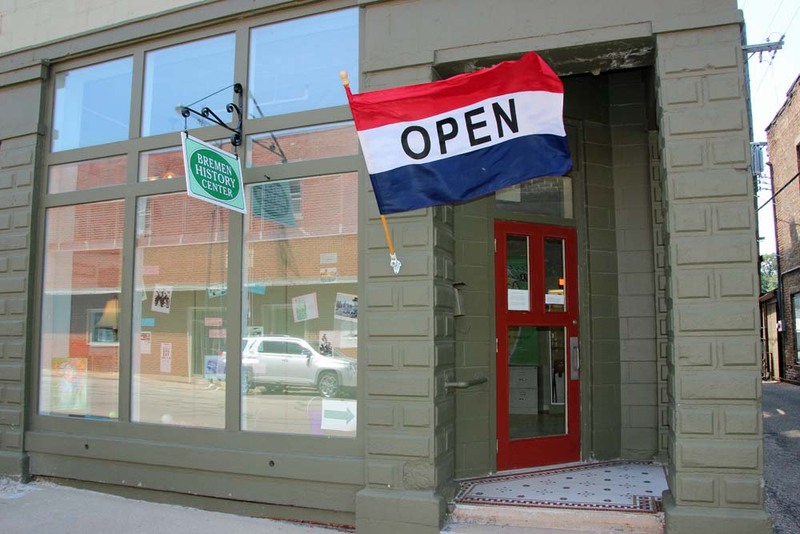 The building (which is owned by the Town of Bremen) also has meeting rooms available for community events, accessible from the old bank entrance at the corner of Plymouth and Center and through the History Center itself. The History Center makes use of these for our History Chat events. 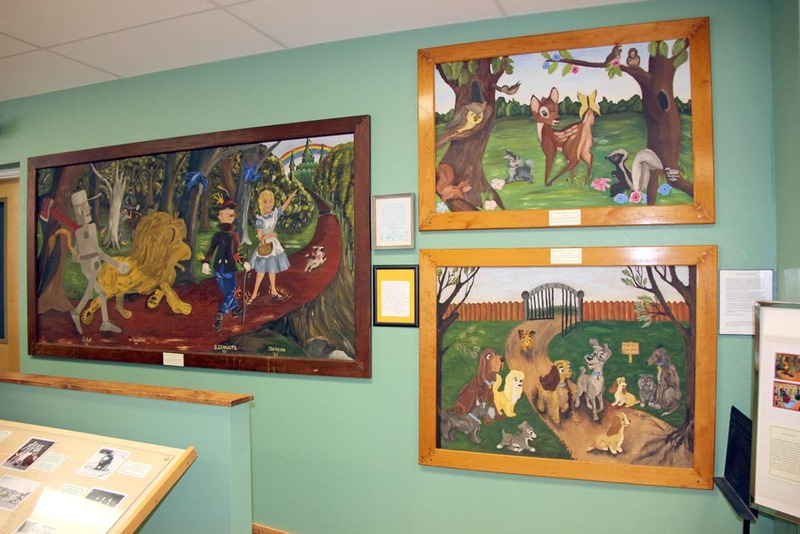 The meeting rooms are decorated in part with the popular movie murals painted by Bremen High School students in the 1950s and ’60s. 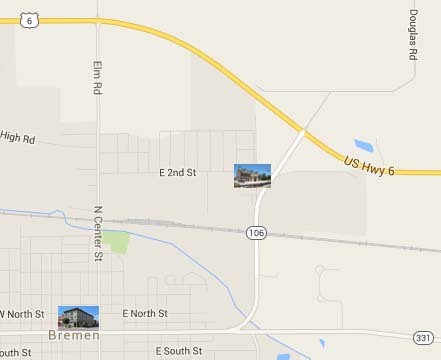 The Bremen History Center is located at 111 N. Center St. in Bremen, Indiana. It is open to visitors, free of charge, every Tuesday from 10 a.m. until 2 p.m. and the first Sunday of every month from 2 to 4 p.m., and by appointment.